Dr. Derek B. Hauser, DDS, is a leading restorative, highly experienced Sun City Dentist and CEREC dentist in Riverside County. He has over 20 years of experience fixing bad dentures or partials with amazing, younger looking ones for his patients of all ages! Get your health back, eat all your favorite foods and have a confident smile again. Did You Know Poorly Fitting Bridges or Dentures Put Your Health at Risk? As we all age, we lose bone density in our jaw and our natural teeth become loose. Dentures and partials are affected, too, and it hurts your health tremendously. What are the Adverse Effects of Ill-Fitting Dentures or Partials? Take a look at some of the amazing work Dr. Hauser does for his valued patients! Call (951) 244-9495 to schedule a consultation and learn how we can help brighten your smile today. Or you can make an appointment online. What’s Eating Away at Your Teeth? Lakefront Family Dentistry Fights Tooth Decay and Teeth Erosion – One Mouth at a Time! Tooth enamel has many important, vital functions and must be protected to avoid serious oral health issues. Individuals should plan to visit their dentist twice a year to help maintain a healthy mouth. Dr. Hauser has invested 20 years in the science of preventive care and advanced restoration procedures. He has transformed thousands of smiles into healthier, happy ones for his patients. Tooth enamel is made of the strongest material in the human body. Its function is vital for good health because this strong, outer layer protects the tooth’s inner structure and sensitive nerves. Although the tooth’s enamel is very strong, erosion is possible because of excess acid left in the mouth. Many types of beverages and food that enter our mouth over the years are not only harmful to our overall health, but they can cause major dental damage, if not maintained properly and left untreated by a licensed professional. Food and drink with high acidic content can cause the enamel to erode. Gastric reflux (i.e., heartburn) issues, as well as certain prescription and over-the-counter medications also cause outer layer destruction. When this tough outer layer begins to erode, it causes teeth to turn yellow and become thin. This weakens the structure and causes an increased risk for fractures and chipped teeth. Good oral hygiene and regular checkups by a great family dentist will help protect your mouth and the mouths of those you love for years to come. Thousands of patients have referred their family members and friends to Dr. Hauser, as well as oral surgeons and orthodontists in our area. Dr. Hauser Can Also Replace Your Old Amalgam (Silver Fillings) with White Fillings so they Match the Color of Your Surrounding Teeth. How Do I Maintain a Healthy Oral Cavity? Use a good quality toothbrush that has 5-star dentist reviews and is ADA approved. Doing so will help clean those hard-to-reach places and reduce the risk of periodontal disease. Dr. Hauser recommends Sonicare electric toothbrushes because they have been shown to reduce up to 5 times more plaque than other toothbrushes in only 4 weeks. What are the Signs of Enamel Wear? 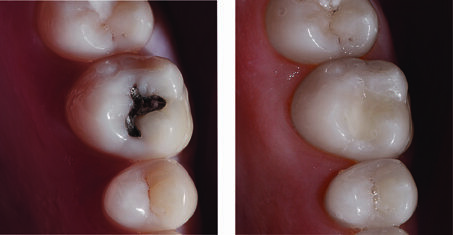 As dental erosion progresses, the tough outer layer starts thinning. As this happens, nerves become exposed and this results in increased sensitivity to hot and cold food. When noticing an increase in sensitivity where there was none before, there’s a good chance damage has begun. When teeth erode, they start to have rounded edges (instead of the natural, soft-looking square shape). You may also notice color changes. A very noticeable sign is when the tips of your teeth start looking whiter, or even translucent. If this type of damage is present, don’t delay consulting with a qualified family dentist. Dr. Hauser has expert skills and top-of-the-line dentistry equipment known to give the best preventive and/or restorative solutions available today. He will provide an honest, complete assessment and offer solutions that repair and/or stop further tooth destruction. What Advanced Restorative Options are Offered at Lakefront Family Dentistry? In our office, we make sure and educate families about the best ways to care for their mouths. 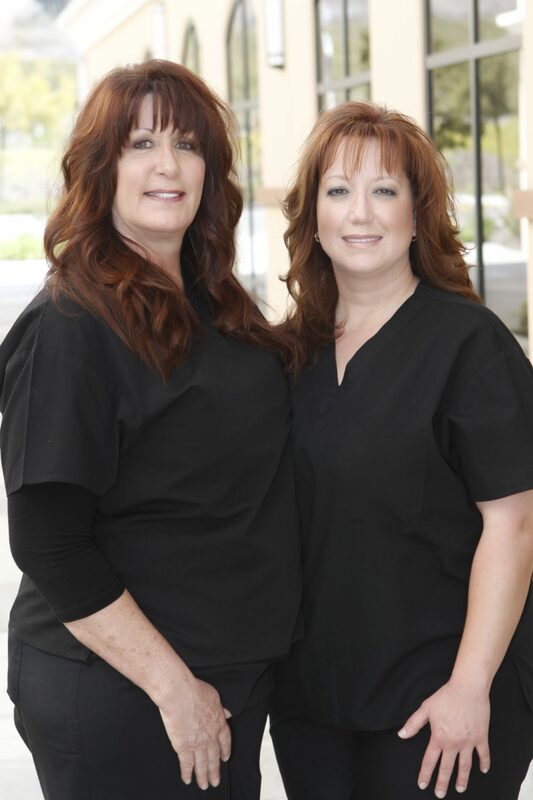 Our skilled and knowledgeable staff provides unmatched premium quality care to families in Sun City, California, and neighboring cities. We have patients that drive over 100 miles just to see Dr. Hauser, because he understands their comfort and amazing smile transformations are a top priority! When visiting Lakefront Family Dentistry, Dr. Hauser completes a thorough oral assessment, including digital x-rays. He will discuss his findings with you and offer the most advanced solutions available with today’s dental technology so your new smile lasts for many years. Our facility was designed and equipped with our patients in mind. Dr. Hauser is fully dedicated to delivering high-tech solutions not available in most dental practitioner offices. We proudly feature the revolutionary CEREC system, only offered at 7.5% of dentist facilities nationwide. With CEREC technology, Dr. Hauser can offer same-day, permanent restorative solutions for our patients. Bridges and partials may take a couple visits, and each patient’s needs are different. We have in-house manufacturing equipment that works in conjunction with 3D imaging software. Combining this technology works to produce flawless, perfect porcelain crowns, bridges or veneers-which are permanently placed in just one visit…in most cases. Take a look at how CEREC can be used to create your beautiful smile in one day! Whether you desire a new bridge, partial, single porcelain crown or full mouth restoration, rest assure Dr. Hauser and his team have all the necessary skills and leading edge equipment. Our goal is your 100% satisfaction to make sure you leave our office with a beautiful, bright smile that will last for many years to come. Lakefront Family Dentistry and Dr. Hauser looks forward to meeting you and serving your needs. Please call (951) 244-9495 and schedule an appointment with your leading dentist in Sun City, CA, or make an appointment online with us today!